Stats: JCT to Throop Peak; 0.3 miles, 348′ gain. Throop Peak to JCT; 0.3 miles, 348′ loss. Round Trip 0.6 miles 348′ gain and loss. 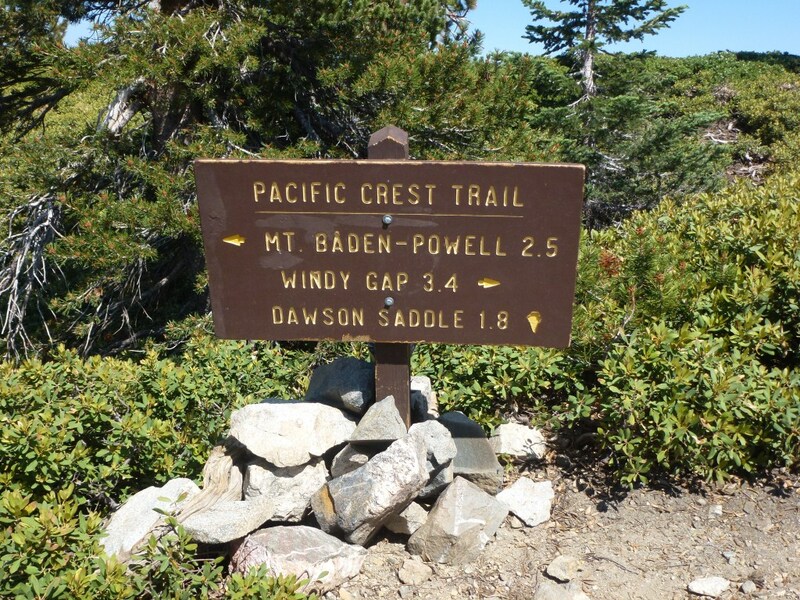 Turn right at the Junction with the Pacific Crest Trail and the Dawson Saddle Trail. 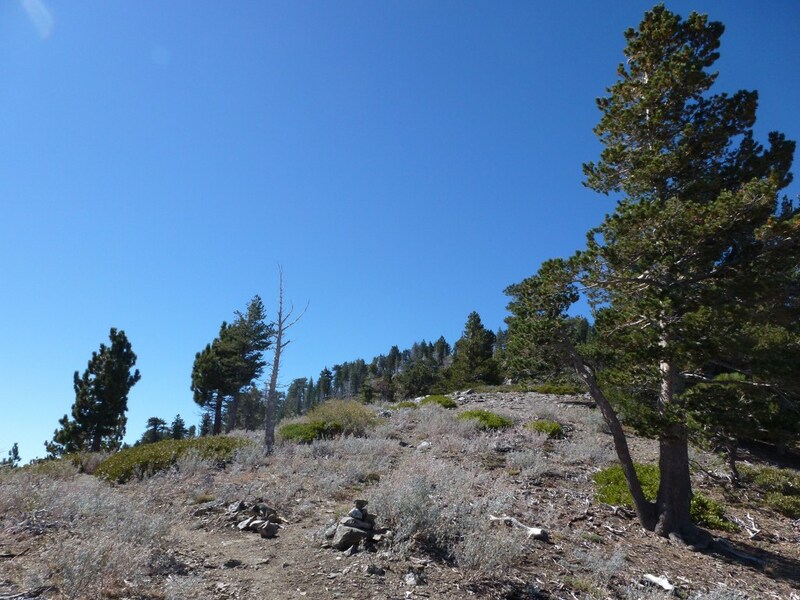 In less than a tenth of a mile, turn right again at the unmarked Junction with the Pacific Crest Trail and the Thoop Peak Trail. Sometimes cairns are present, sometimes not.